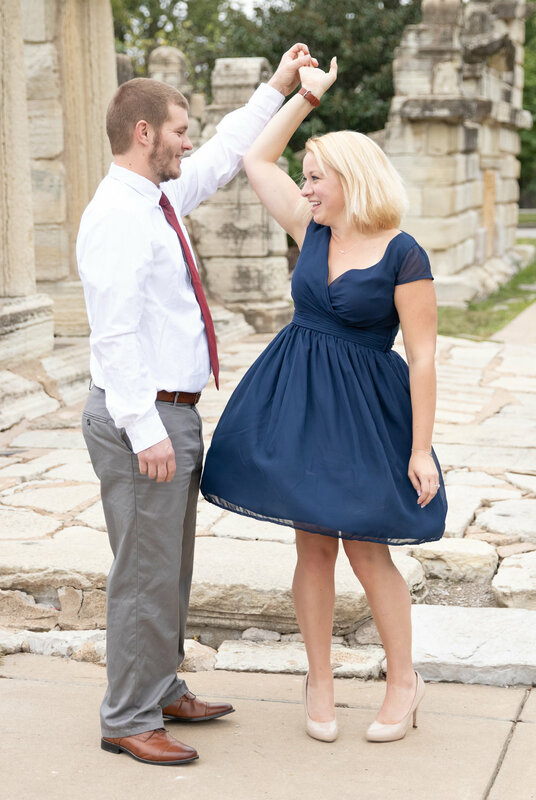 Ok guys, we know it’s the day after Christmas, and many are still focusing on family time, but we love our clients and wanted to take a few minutes to share Bradley and Maura’s engagement session 💕. 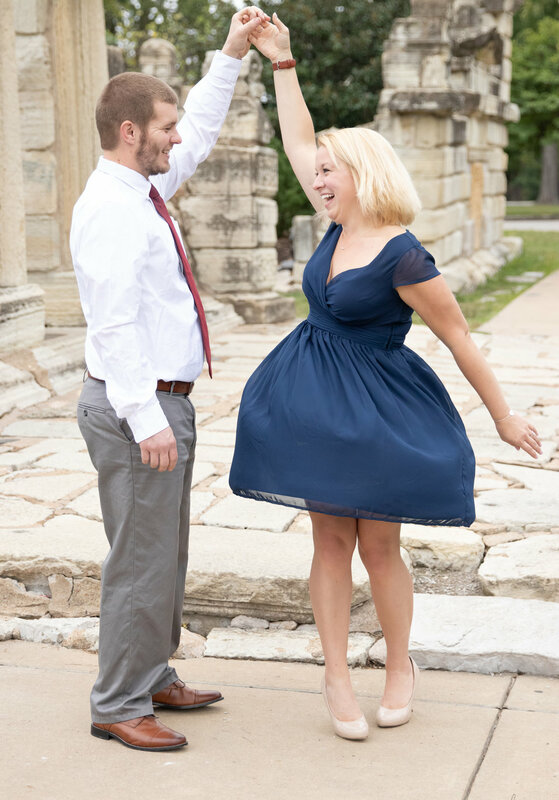 We shot the lovely Bradley and Maura’s engagement session at Tower Grove Park in St, Louis. If you know these two, then you are well aware of the countless reasons to love this couple. Most importantly, they’re dog lovers (✔️). Their laughter together is on call (✔️). They can also nail a twirl like Christina Yamaguchi on grass (✔️), and their recently proven track record of pre-engagement wedding planning secures the “Overachievers” title! (✔️)!! 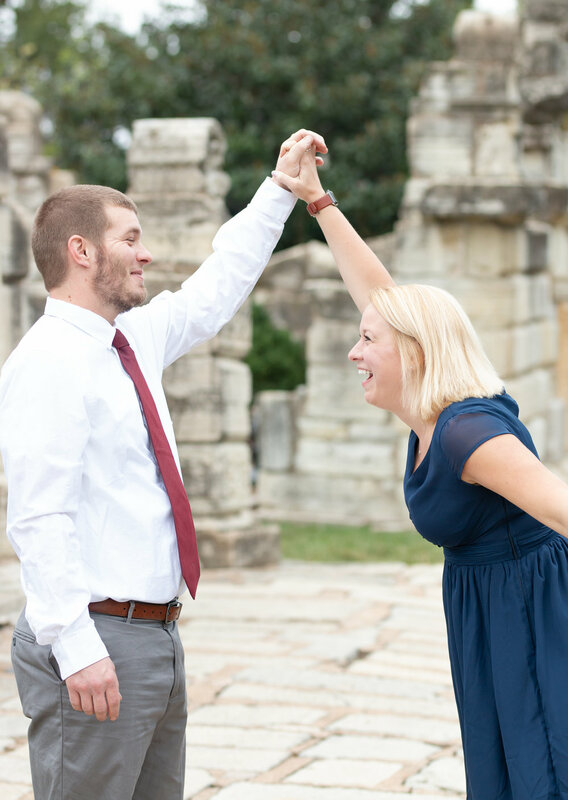 When we first met Bradley and Maura, they were not engaged yet but had already been wedding planning. During planning, Maura’s mother, Linda, took her on a girl’s weekend to the Ozarks. Early the following morning, Maura’s father picked up Bradley right after his night shift and drove him to the Ozarks to catch the girls on a morning walk. From there, Bradley proposed, and the rest is history (in the making)! A special “thank you” to Maura’s mother, Linda, for wrangling their two dogs during our session. Major kudos! All in all, Bradley and Maura provided a great example of how a loving and playful marriage truly should be—and they’re not even there yet! We know they’ll be just fine as husband and wife! !